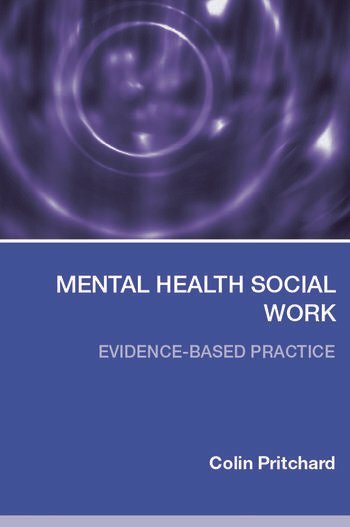 In Mental Health Social Work, Colin Pritchard draws on his many years of experience in research, teaching and practice in order to explore key issues for social workers who want to work in the mental health field. Mental health social work can be one of the most rewarding and one of the most frustrating areas of social work practice. Social workers need to have a good knowledge of interventions and their evidence bases, from pharmacology to psychotherapy, but also be able to work sensitively and effectively with both clients and carers in a rapidly changing context. Presenting new and challenging research findings in this field, this book will be invaluable reading for undergraduate social work students and for practising social workers. Colin Pritchard is Professor Emeritus at the University of Southampton and Research Professor in Psychiatric Social Work at the Institute of Health and Community Studies, University of Bournemouth. He is an academic veteran of the social care field who has maintained a mental health practice while being an active and sometimes controversial interdisciplinary researcher.